Pundi X aims to bring in the next billion crypto users as it allows users to buy, sell, use cryptocurrency anywhere and anytime. Making cryptocurrency accessible to everyone. This will make Pundi X the world’s largest decentralized, offline cryptocurrency network. It is decentralized, because the ecosystem and transaction records live on the blockchain. It is offline, because our entry point is via point-of-sale (pos) devices installed in physical outlets. Pundi X seeks to bring cryptocurrency to the next billion users and help to increase the value of cryptocurrency for all users worldwide. Zac is the former W3C Chair of HTML5 Interest Group. He was a scholarship recipient at Sweden KTH (M.Sc Computing) and Norway NTNU (M.Sc Security). Zac spent 12 years in tech in browser and mobile gaming market. Pitt is an entrepreneur who sold his first Groupon-like company at the age of 25. He has started and sold several successful startups. Pitt studied a B.Sc Engineering at Xi’An Polytechnic University. He is a gadget lover. Danny is an APAC financing expert who has product design experience with Baidu and Lenovo. Danny is a PhD Law scholar from Tsinghua University and hold ACMA and CGMA accounting qualifications. Kiki has 17 years’ experience as founding CEO of two Indonesian fintech companies - Infinetworks and E2Pay; He has an M.Sc Computer Science (Purdue University) and B.Sc Computer Science (University of Tulsa). David has over thirty years or legal and tech experience. Prior to Pundi X he was Ethereum Foundation's governing board member, General Counsel of Microsoft China, and Managing Partner of Denton Hall. David graduated JD from UCLA. Vic Tham was formerly Bank of America Merrill Lynch's Asia Pacific COO of Global Transaction Services. He also served as Group Head of Risk Management (CRO) at Hong Kong Exchanges and Clearing. Vic graduated with an MBA (Finance) and Bachelor of Science from State University of New York at Buffalo, USA. 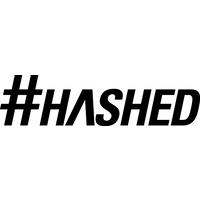 Hashed, based in San Francisco and Seoul, is the largest crypto assets fund and community builder in South Korea. The team was founded by serial entrepreneurs, company operators, and systems engineers, who are passionate about enabling the global adoption of blockchain through education, acceleration and impact investments. Crypto Wipeout: Who Are The Big Losers? Is Delta Direct Really Just A Blockfolio Signal Copycat?